Status Quo rarely do things by half measures and in August they released a twin-pairing of live albums, one acoustic and one electric. The first is a double disc offering recorded at The Royal Albert Hall after their exceedingly successful 'Aquostic' album and sequel. Front-man Francis Rossi had been wanting to pursue this direction for a while, frequently stating how exhausting electric shows were. During this performance, the band sound relaxed and comfortable as they work their way through classics like 'Paper Plane', 'Caroline', 'Down Down' and many others. All the songs work deceivingly well augmented by strings, female backing vocalists, accordions and all manner of embellishments. The main drawback here is the absence of the incomparable Rick Parfitt, who had to retire from touring and sadly died on Christmas Eve 2016. He had given the band his blessing to continue without him, and while Rossi handles the bulk of the lead vocals, the tracks usually sung by Parfitt are performed by keyboard player Andy Bown, who does a reasonable job on 'Whatever You Want' and handles 'Don't Drive My Car' well, while bassist John "Rhino" Edwards deals with 'Again And Again', 'Reason For Living' and 'Rain' in solid fashion. It's nice to have some lesser known Quo songs in their set so hearing the band run through 'And It's Better Now', 'That's A Fact', 'Claudie' and 'Na Na Na' is refreshing before normal business is resumed when the band close with 'Rockin' All Over The World'. 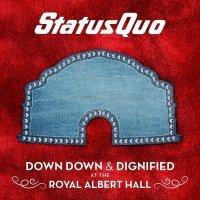 The Royal Albert Hall is a great venue and Quo in this mode are a great fit for it. While it's a great shame that Parfitt was not there to take part, I believe he was never as committed to this sound as his other bandmates were. 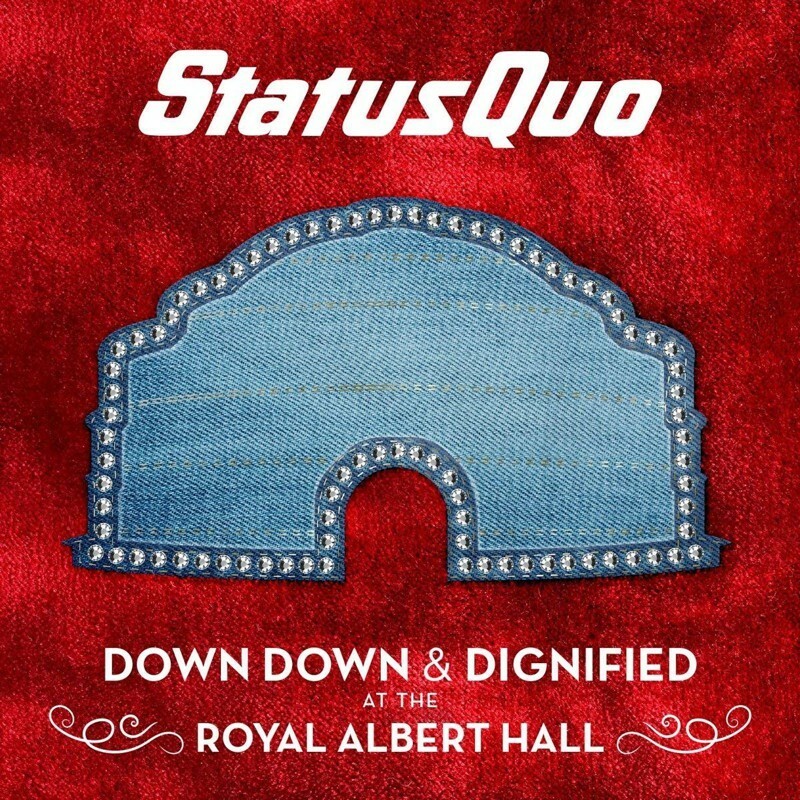 It would have only benefitted from his presence, but as it stands, this is the best Quo recording without him that I've heard. The second release is a polar opposite to The Royal Albert Hall show, being a single disc, electric performance at Wacken, and because it's a festival, the band have seventy minutes, so they use a hard-hitting "greatest hits" kind of set, opening, of course, with 'Caroline'. They tear through 'Something 'Bout You Baby I Like' before "Rhino" steps up to sing 'Rain'. 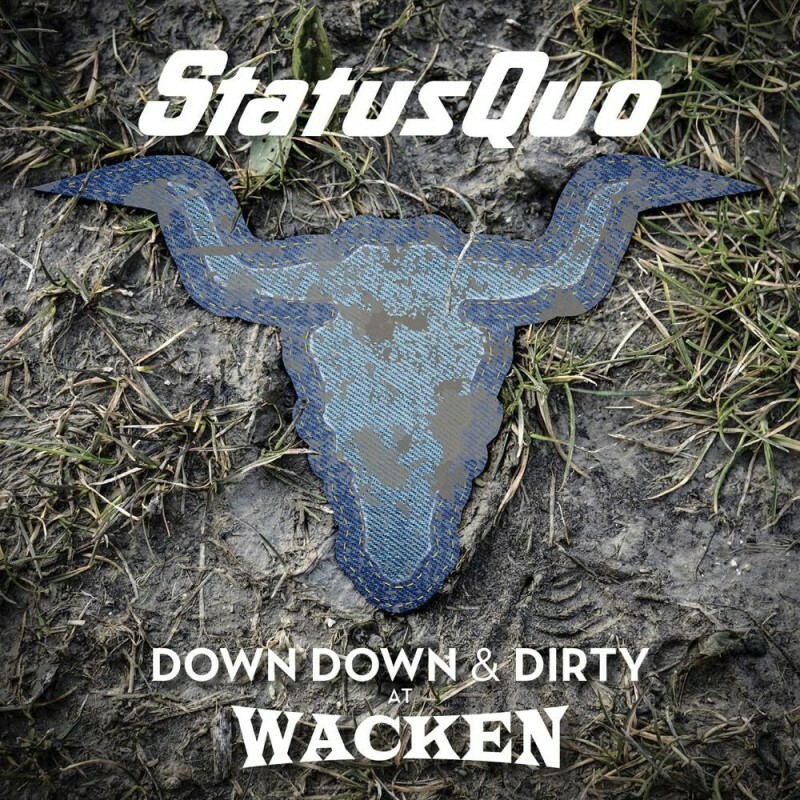 Rossi is in his usual good humour stating, "If you're wondering what Status Quo are doing at Wacken, Status Quo are also wondering...", but it doesn't stop them rattling through cuts like 'Softer Ride', 'Beginning Of The End' and 'Hold You Back' before an impressive 'What You're Proposing' medley. When I reviewed Quo's first live release without Parfitt, 'The Last Night Of The Electrics' (in issue #80), I stated that while newcomer Richie Malone did nothing wrong in his guitar duties, it didn't really have that "classic Quo sound". On this release, I think the band have gelled much better, and they deliver a thumping show that puts a lot of Rock bands to shame. The only real critique I have is neither Bown nor Edwards are as good on vocals as Parfitt was. He could have his dodgy moments, but when you listen to the band try and do the songs electrically without him, you truly realise how good Parfitt was as a singer and how his voice was as important to Quo as his guitar playing was – listen to Edwards sing 'Rock And Roll Music' and compare it to Parfitt's delivery. Nevertheless, when any band loses an iconic founding member, it's not going to be the same. The crowd don't seem that into it at times, but Rossi does a good job of reeling them in. This show does prove that even without Parfitt, Quo are still a force to be reckoned with. They are armed with a wealth of unforgettable songs like 'Roll Over Lay Down' and 'Whatever You Want', a charismatic leader in Rossi and a loyal fan base who are delighted Status Quo are still going all these years later. Long may it continue!